SCHOTT have released a miniature range of battery protection devices for use with Li-Ion cells & other battery technologies. 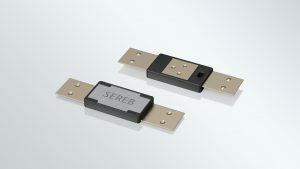 SEREB® miniature thermal circuit-breakers are self-latching (i.e. non self-resetting) and respond to both over-current and over-temperature cell conditions.Low profile and lightweight at only 1mm thin, it’s slimline design gives high sensitivity with calibrations ranging from 72°C to 90°C. With trustworthy quality the SEREB SB series can be fine-tuned to offer critical thermal protection for rechargeable and primary battery applications.